Wendy Fleischman, DVM, DACVIM (SAIM), is a New York native who received her veterinary degree from Cornell University’s College of Veterinary Medicine. She completed a small animal rotating internship at the Veterinary Specialty Hospital of San Diego. Following her internship, she moved to Colorado and practiced emergency medicine in south Denver for two years. 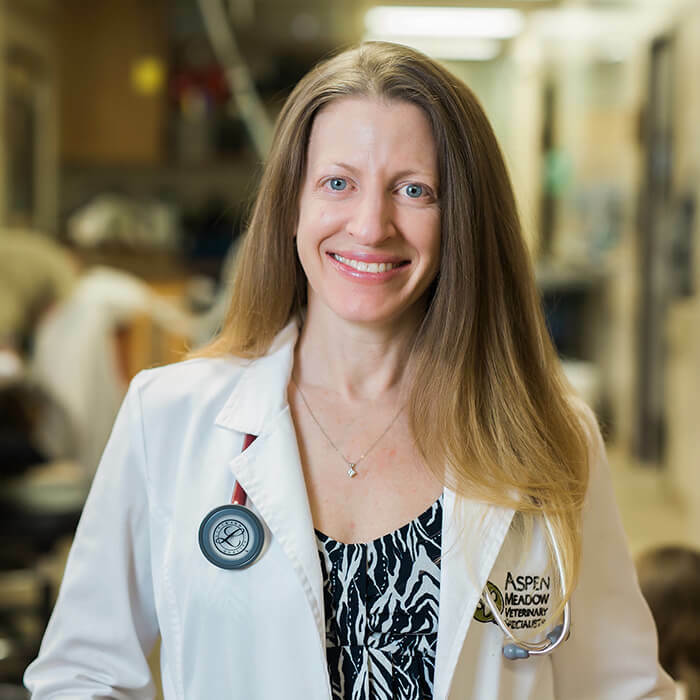 She then completed an internal medicine residency at The Animal Medical Center in New York City and, after passing board exams and publishing a paper, she attained ACVIM board-certification status in 2009. She enjoys diagnosing and managing patients across the spectrum of internal diseases including hematologic and immune-mediated problems, endocrinopathies, hepatic conditions, renal disease, and GI disturbances. She is also an experienced ultrasonographer and endoscopist.